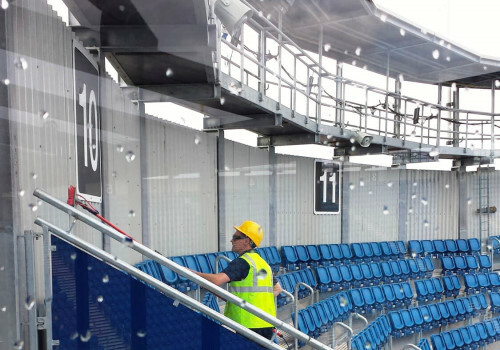 Regular cleaning of external surfaces or cladding can dramatically extend the life of the fabric of your building and can also save considerably on ongoing maintenance costs. It also enhances the buildings external appearance, removing the build up of dirt, debris, spores and algae. 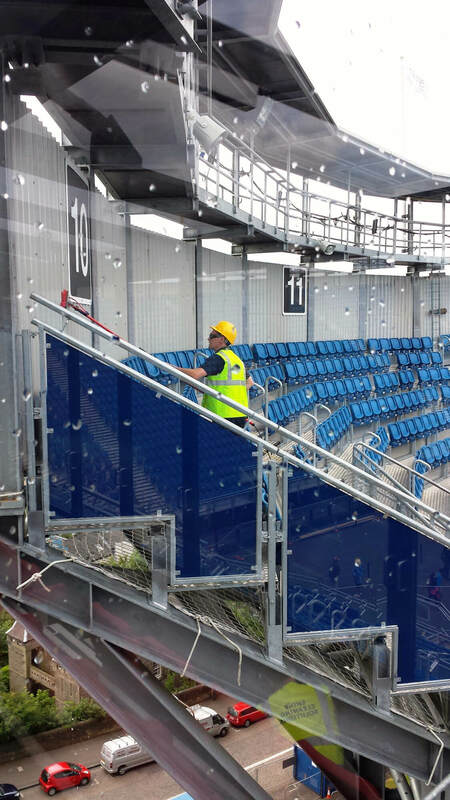 On many commercial buildings, external cladding panels, whether they are anodised, painted, plastic coated, rendered or wooden, must undergo routine cladding cleaning and maintenance. This is to help prevent deterioration and corrosion and also addresses any ongoing dilapidation requirements with the landlord or property owner. 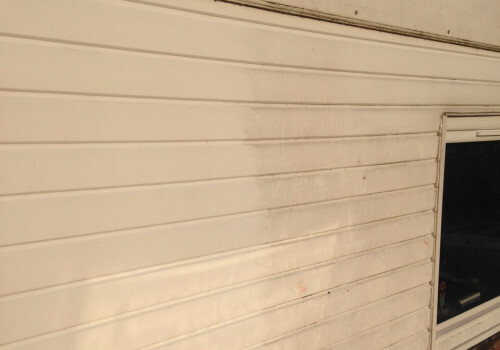 Selecting the right method to clean the exterior surface of your building is crucial. We can use a wide range of techniques which can involve water-fed pole cleaning, jet or pressure washing, the use of chemicals to remove green algae build up or black mould spores etc. 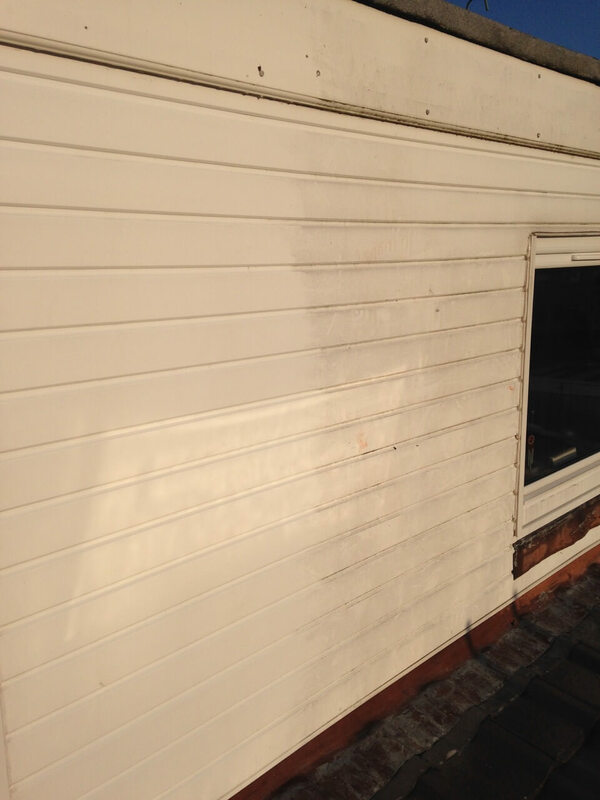 Newer methods involve the use of 'low pressure' application, rather than 'high pressure' jet washing, which can cause damage over the longer term. These new methods can also provide residual benefits which reduce the need for re-active maintenance and can work out to be more cost effective. They kill the micro-organisms responsible for unsightly discolouring and prevent potential structural damage. Thus, they not only provide ongoing treatment for up to 12 months, or longer depending on surrounding environmental conditions, but they also keep the outside of your building cleaner for longer. Some buildings, particularly large commercial buildings such as factories, warehouses or distribution facilities, may also require specialist access. 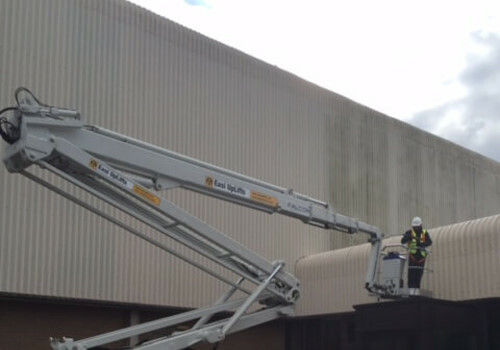 Our PASMA and IPAF trained staff are experienced and can safely clean cladding in what can appear to be highly inaccessible areas. 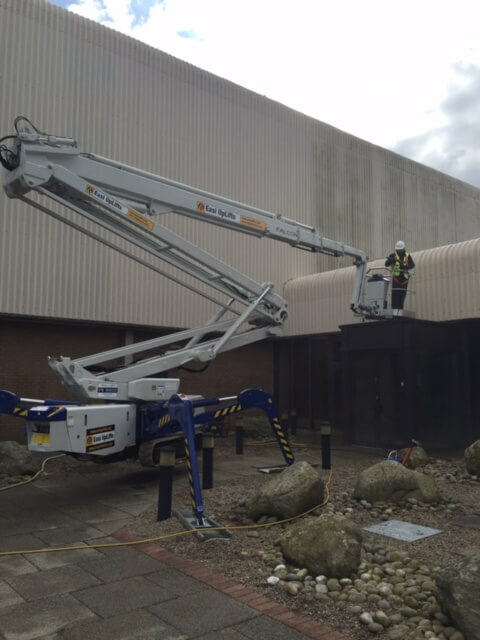 Staff are licensed in the safe and effective use of mobile access tower platforms as well as mobile elevated working platforms (MEWPs), including cherry pickers, and spider lifts, etc. We always strive to provide the most cost-effective cleaning techniques with the minimum of disruption to your workplace to ensure your building is presented at its very best. We take pride in our flexibility and will go out of our way to clean your building at a time that suits you. Please contact us on 01506 414452 or email us to discuss your requirements or request a quotation.